Citizen concern is mounting over hunting dogs traversing private property. Though not necessarily against hunting, some county residents say they are upset when hunters have not asked permission to be on their property. The situation intensifies if a landowner has livestock or pets that could be disturbed by the intrusion of hunting dogs. East Ashland or Beast Ashland? 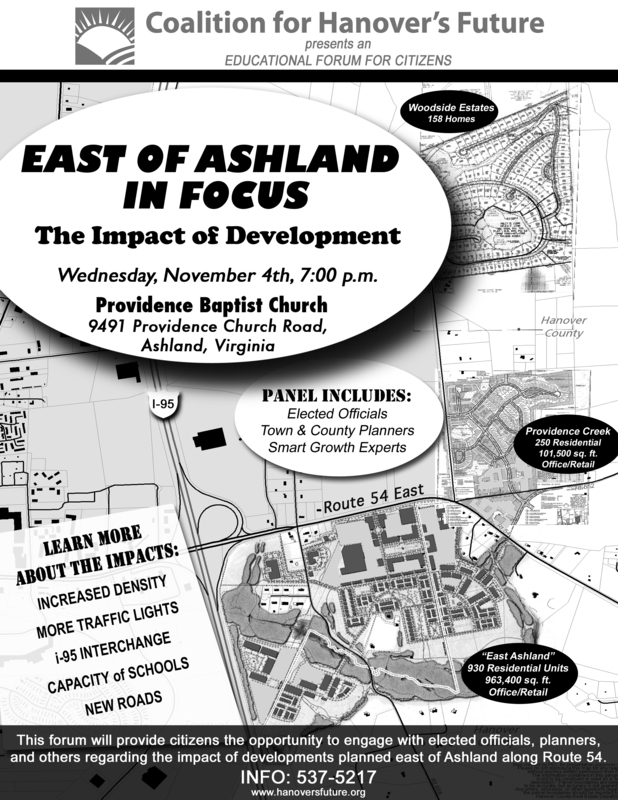 A sprawling, high density, mixed-use development proposed east of Ashland will be discussed Monday, Oct 12th, 7 p.m. in the County’s Administration Boardroom. Please plan to attend and voice your ideas and concerns about this proposed development. 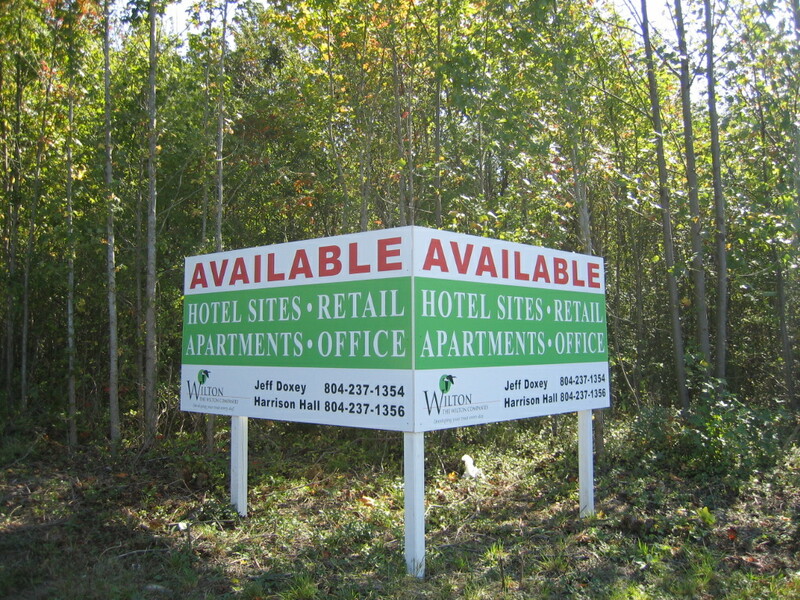 “Beast Ashland” is just one of three, large-scale developments planned for the rural Route 54 corridor (east of I-95). The other two “beastly” developments coming down Route 54 East include the Providence Creek mixed use development and Hickory Hill, residential sprawl. Because Wilton’s development, “Beast Ashland,” affects tracks of land falling within the Town of Ashland as well as the county, the following traffic impact analysis by Wilbur Smith Associates only addresses the piece of development within the Town of Ashland. As a community concerned about the negative impact of excessive growth, especially in terms of quality of life, we want citizens to see and learn THE BIG PICTURE. In other words, how will ALL of the proposed developments combined impact traffic, density, congestion and the overall quality of life along Route 54 East? Again, in terms of the BIG PICTURE, this traffic impact analysis does not take into consideration ALL three developments planned for the Route 54 East corridor. What will the impact of increased traffic and density be from all three of the proposed developments?